It is two months since my birthday but our calendar was so full that we couldn't find a day when we were all free to celebrate. So on the last day of July instead of at the end of June we finally all got together at Club Southside to have lunch together. Birthday Bear was there to greet me when I arrived dressed ready for Zumba. Someone found out that I have started Zumba lessons at the village. So now Bear can come with me and have fun getting fit. 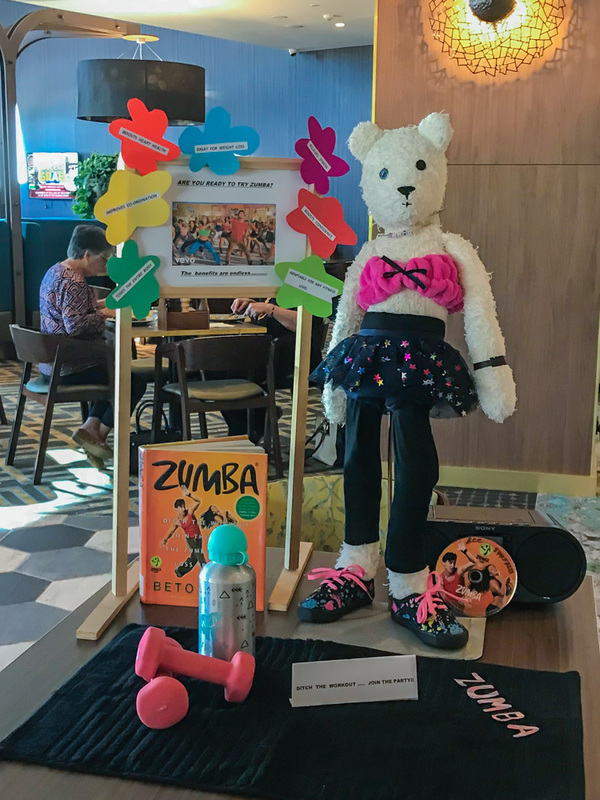 Mary did such a great job at dressing Bear in a Zumba outfit plus a list of all the benefits, book of instructions, CD and boom box, dumbbells, drink bottle and sweat towel. happy belated birthday. 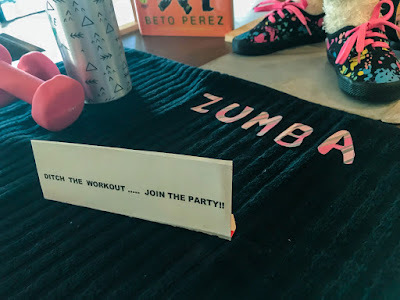 It looks like birthday bear will fit right in with you at zumba class. Hello, Diane! 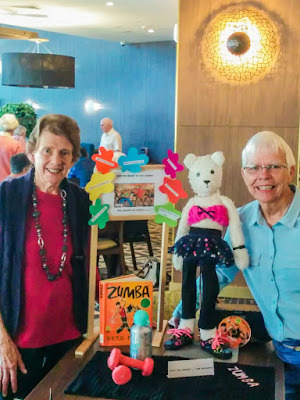 Your Zumba dancing birthday bear is so cute. Happy Monday, enjoy your day and new week! Like the sign. Hope you did ditch the exercise and throw yourself into the party. Well worth waiting for! Do you have a cute little Zumba outfit like Bear's??? No I just wear gym pants and T-shirt. Always enjoy your birthday bear. Loved the outfit! Ha, that's a good one!